There are a number of theories that attempt to explain the mechanism of addiction and substance abuse — how and why it manifests, and how it is perpetuated. While there may be other factors involved, including a genetic predisposition to addiction and the influence of the environment the person is in, anxiety is cited as a factor in most addictions. 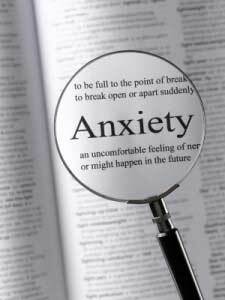 It is not uncommon for people to self-medicate to alleviate the feeling of anxiety. Even people without substance abuse issues can do so in a variety of ways; eating or even tapping your foot can help to dissipate mild to moderate anxiety. However, those with severe anxiety can sometimes seek more extreme solutions, and these are the people who are most at risk for addiction. People tend to abuse alcohol or drugs to protect themselves against painful emotions. The substance is used to dampen the unpleasant feeling and get temporary relief. What is anxiety? Ultimately, the feeling of anxiety boils down to chemicals released within the brain and body. When a person thinks a stressful thought, a cascade of chemicals including cortisol and adrenaline is released into the bloodstream. Cell receptors on the body’s cells lock onto these chemicals, which then register as an unpleasant feeling. The person becomes uncomfortable, edgy and agitated. Some people will do just about anything to get relief from anxiety, but whether it’s a prescription or non-prescription drug, the substance generally only masks it for a short time. This fuels the addiction, for when the substance “wears off,” more of it is craved, and the cycle of addiction continues. Because of this, the key to true, lasting recovery is addressing the cause of anxiety at its roots. While those in the throes of acute addiction will require swift and targeted physical intervention including a detox program, ultimately, the causes of the addiction (and the anxiety that led to it) will eventually have to be explored and healed. There are many factors that can lead to and culminate in acute anxiety or an anxiety disorder (such as panic attacks and GAD — generalized anxiety disorder). Once biological causes are ruled out or addressed, it is important for the root emotional causes of anxiety to be explored and healed. Dynamics within the family of origin should be examined closely; how is the person’s relationship with their mother, father and siblings? Conflict in these areas is usually a primary cause of anxiety, even if there are factors at work or in other personal relationships. Addressing and healing foundational wounds and patterns is crucial to long-term recovery. Individual and group counseling during treatment can be invaluable in helping to accomplish this.